The updated Commentaries are an interpretive compass emerging from more than 60 years of application and interpretation of the Geneva Conventions. Over the rest of 2016, several academic blogs are hosting a joint series that brings to light the significance of the updated Commentary on the First Geneva Convention. Last March, the ICRC released an updated Commentary on the First Geneva Convention of 1949 (GCI). This is the first instalment of six new Commentaries aimed at bringing the interpretation of the Geneva Conventions and their Additional Protocols of 1977, to the 21st century. This blog series is co-hosted by Opinio Juris, an online forum on international law and relations, Intercross, the blog of the ICRC in Washington D.C., and Humanitarian Law & Policy. This multi-blog venture is divided into three episodes, each of which focusing on a GCI provision – or a theme within a set of provisions – whose application and/or interpretation have evolved and give rise to debate among States and commentators. For each phase, the three blogs will invite one author to either initiate the conversation or act as respondent. The three episodes are respectively scheduled for this summer, fall and winter 2016. Subscribe to the Law & Policy newsletter to receive updates about the series and more, directly in your mailbox. June 29, 2016, Episode I, Part I (Humanitarian Law & Policy): Locating the Geneva Conventions Commentaries in the international legal landscape – Jean-Marie Henckaerts, head of the Commentaries update project. July 6, 2016, Episode I, Part II (Intercross): The role of the ICRC Commentaries in understanding international humanitarian law – Sean D. Murphy, Professor of International Law at George Washington University and Member of the U.N. International Law Commission. July 22, 2016 (Opinio Juris): First Thoughts from Academia on the Updated GCI Commentary – Kevin Jon Heller, Professor of Criminal Law at the University of London. On 2011 the ICRC embarked on a major project intended at updating its original Commentaries, drafted under the general editorship of Jean Pictet in the 1950s (for the Conventions), and of Yves Sandoz and other ICRC lawyers in the 1980s (for the Protocols). Since their publication, these commentaries have become an authoritative interpretative guide for States, armed forces, national and international courts, academics and civil society. However, in order to remain relevant, they needed to be updated to reflect more than 60 years of subsequent developments in applying and interpreting the Geneva Conventions. With the release of the Commentary on GCI, an important milestone has been reached, with key findings related to GCI-specific articles but also common articles governing the scope of application of the Conventions and their enforcement. The initial edition of the Commentaries mostly provided historical context for the adoption of the Conventions and their Additional Protocols, drawing on the negotiation process of the treaties, as well as practice prior to their adoption. In this respect, they retain their historic value. The updated Commentary builds on and preserves those elements that are still relevant, while incorporating more than six decades of application and interpretation of the Conventions – 40 years in the case of the 1977 Additional Protocols. Capturing the evolution of warfare and humanitarian challenges, as well as technological and legal developments, led to many additions but also updates. The multi-faceted nature and complexities of today’s armed conflicts have also resulted in more elaborated interpretations on the scope of application of the law in armed conflict. The new Commentary aims to capture key elements of the ongoing debate about where, when, and to whom IHL applies, setting out the view of the ICRC while also indicating other interpretations. The Commentary provides important clarifications on key aspects of the legal regime governing the protection of the wounded and sick in armed conflict. 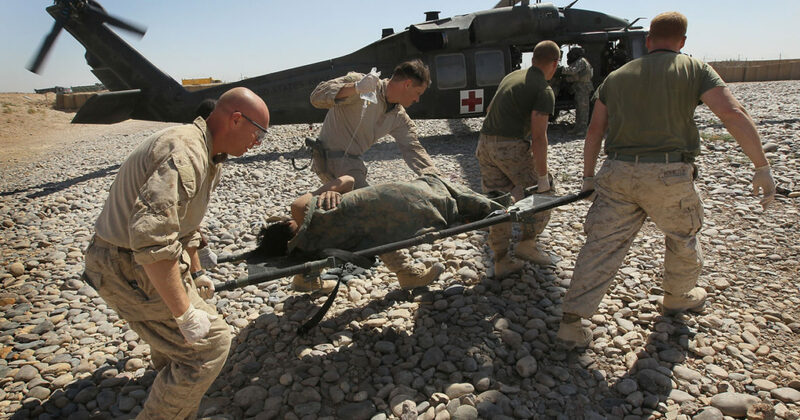 On the obligation to respect and protect the wounded and sick, it addresses issues ranging from taking their presence into account in a proportionality assessment when planning attacks, to the general obligation to have medical services in the first place. On the protection owed to medical personnel, it gives details on the conditions under which such protection may be lost. The new GCI Commentary also captures changes in the regulation of offers of services by impartial humanitarian organizations, on the dissemination of IHL, and on criminal repression. It also adds a number of subject matters, such as the prohibition of sexual violence and non-refoulement. The updated Commentary to GCI includes interpretations that not only complement but also sometimes diverge from the Pictet Commentaries. For example, the last 60 years of practice warrant the applicability of Art. 1 common (States’ duty to “respect and ensure respect” for the Conventions) not only in international but also in non-international armed conflicts. A key factor of change between the two editions lies in the evolution of the international legal environment. In 1952, Pictet’s recommendation that Article 3 common “should be applied as widely as possible” was based on the observation that no other body of international law could protect those affected by situations of violence short of the legal threshold of a non-international armed conflict. Since 1949 the protection provided by human rights law in such situations has considerably developed. The updated Commentaries reflect today’s prevailing interpretation that IHL should apply only to the situations it was intended to regulate: armed conflicts, but not beyond. The additional or updated findings result in a considerably expanded version of the ICRC Commentary. The user-friendliness of the new text does not suffer from its length: each commentary is divided into thematic sections, easily accessible from the table of contents. The body of law, practice and doctrine developed over these six decades and captured in the updated Commentary are the most compelling evidence that IHL has been and continues to be a living body of law of burning relevance. By capturing these developments, the new Commentary helps to refine our understanding of IHL and, ultimately, enhance respect for the laws that protect people in war.